In my work at the U.S. Patent and Trademark Office’s Enterprise Training Division, I have led the Aspiring Leader and Individual Leader program and currently lead the Supervisor Certification Program. I work with leadership theory and leadership development theory daily. In fact, I have been involved with leadership theory and practice since I was a teenager in the Boy Scouts. I have held leadership roles in government agencies, nonprofits and in dot-com startups. I have been exposed to much leadership theory while pursuing a Masters in Political Management, an MBA in Project Management and Ph.D. in Public Policy and Management. I have watched organizations dramatically change with the impact of the Internet and digital transformation. These experiences are why I studied how leadership and leadership development have changed in the age of digital organizations. Between 2013 and 2015, I worked as an analyst for the U.S. Office of Personnel Management’s (OPM) Strategic Workforce Planning Group. 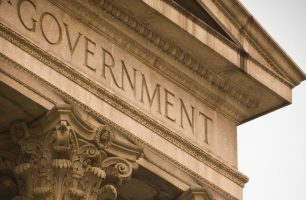 I was tasked with determining how to measure the organizational health of a government agency. This assignment led to an extensive study of the organizational health concept which then branched out into the organizational agility concept. At the same time, I was working on employee engagement research. During my OPM work, I saw connections between organizational health, organizational agility, and employee engagement. A common factor in all three areas is the central importance of leadership. I asked what type of leadership is needed to create and lead a healthy and agile organization with high employee engagement while successfully delivering on its mission. This question has led to an intensive five-year study of leadership development. I used three models to define organizational health, organizational agility, and employee engagement. For organizational health, I used McKinsey’s Organizational Health Index. Organizational agility comes from Worley, Williams and Lawler’s work. The employee engagement model comes the research of Josh Bersin who terms his model the “Simply Irresistible Organization.” The models complement each other well, and I have combined the models into the “Healthy, Agile, Simply Irresistible Organization” (HASIO). At the heart of the HASIO model and interwoven through the model are various leadership characteristics. Nothing is surprising on the list of 13 HASIO Leadership Model characteristics. Leadership scholars have produced similar lists of leadership characteristics for their leadership models. What is unique about the HASIO Leadership Model is that is derived from the processes needed to realize the HASIO organizational model elements and factors to create a highly-engaged workforce in a healthy and agile organization. According to an extensive review of 66 leadership theories, researchers concluded that “[a]s a field, we have amassed an extensive body of research and theory that has solidified the importance of leadership in organizational science.” Leadership theory and research in the new millennium: Current theoretical trends and changing perspectives. The researchers then argue that to advance leadership theory, linking leadership interventions to organizational outcomes is needed. The HASIO Leadership Model links leadership effectiveness to organizational outcomes because the HASIO Organizational Model was created to design highly-effective public organizations. From my original charge to determine what makes a public agency healthy, I realized that organizational health is closely tied to organizational agility and high employee engagement. A public agency needs good health and an engaged workforce to be agile in effectively carrying out the agency’s mission and strategic goals in today’s volatile, uncertain, complex, and ambiguous (VUCA) environment. The HASIO public agency needs a HASIO Leader to succeed in carrying out the agency’s mission.